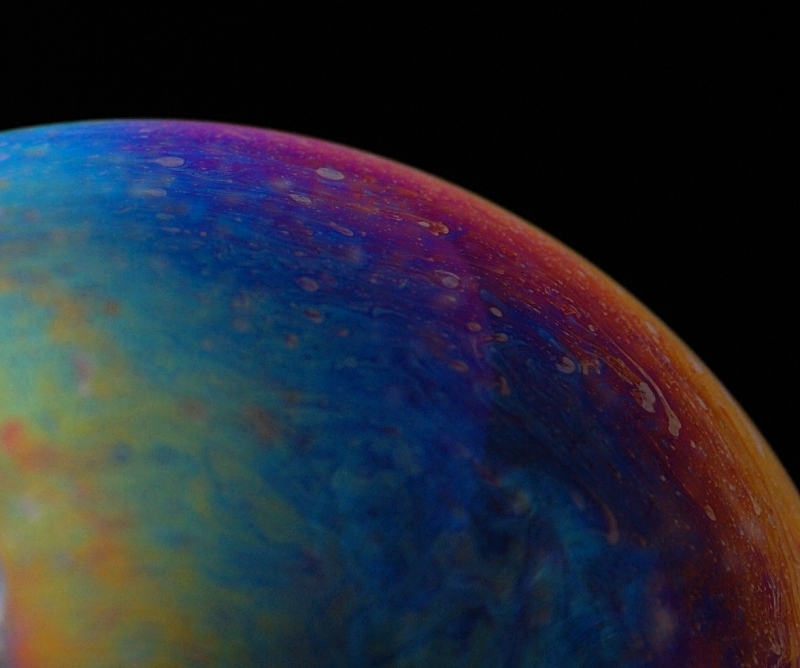 Close up of soap bubble. Lit up with speedlight through a diffuser of while foam underlayment that you put under a wood floor. Fun stuff... had a lot of cool otherwordly outtakes, but this is the one I chose to go with. I am stunned that this didn't do better What a beautiful capture. That looks like a planet! Very nice! I find the shallow DOF a little distracting here and would have liked the whole bubble to remain in focus. Great idea and creative title. Is that a marble? Neat macro of a bubble. Trekkie!!!! Fun shot. No vote. Proudly hosted by Sargasso Networks. Current Server Time: 04/22/2019 04:10:37 PM EDT.